Lindner produces tractors and transporters of the brands Geotrac, Lintrac and Unitrac at its Kundl location (Austria). The family company with an export rate of 50 percent employs a workforce of 220. 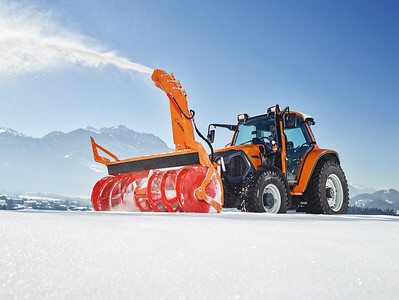 With a market share of 14.1 percent, Lindner reaches second place on the Austrian market for standard tractors in the first seven months of 2015. Agrotypos visited the Lindner Innovation Center in Austria and met David Lindner. The Lintrac vineyard model celebrated its premiere just as the Lintrac in der forestry version. The Unitrac transporter series was strengthened by the 72ep and the 102S. Lindner is currently working on the integration of the continuous technology of the Lintrac into the Unitrac. Since the end of 2014 Lindner has been producing the new Lintrac in series. 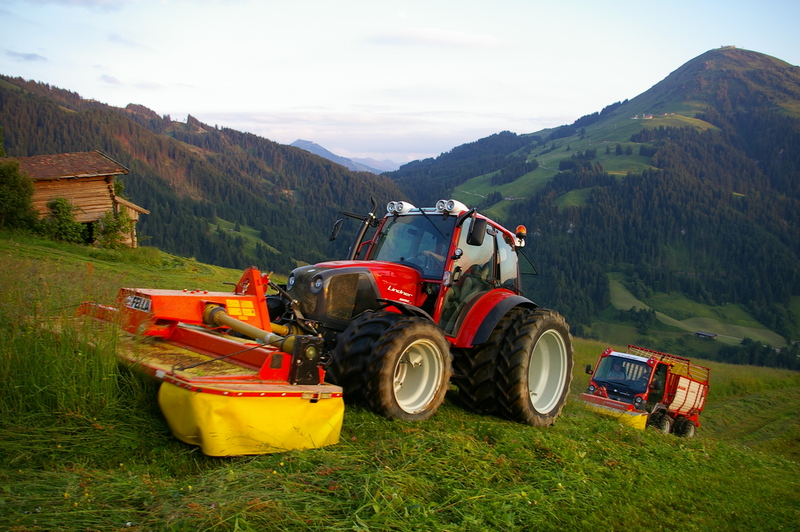 The first continuous standard tractor with a steering rear axle scores in mountain and grassland farming as well as in cultivation agriculture and in the municipal sector. 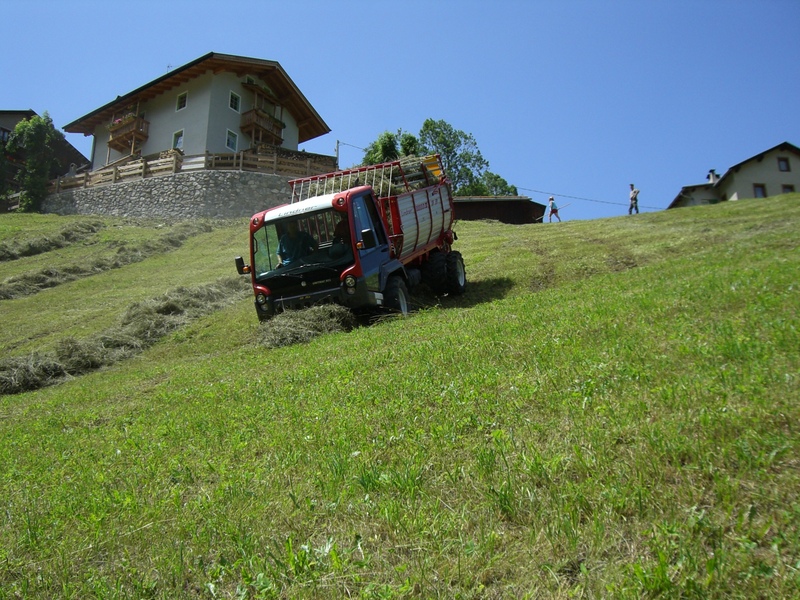 This year, Lindner is planning the production of about 250 Lintracs; the 200th Lintrac was recently delivered to a farmer from Kärnten. 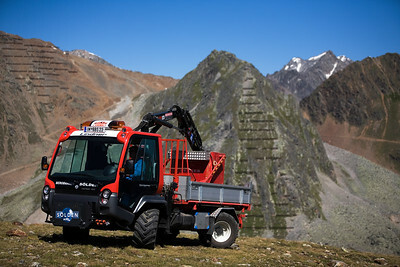 The technical highlights of Lintrac include the 4-wheel steering, the continuous ZF gearbox, the high-performance working hydraulics from Bosch and the particularly simple LDrive operation. Over the last few months the Lintrac has been consistently improved: for instance, the maximum permissible total weight of the Lintrac is now up to 6,800 kilograms. The rear hydraulics have a lifting force of 3,800 kp with and without 4-wheel steering. In 2015, Lindner presented the Lintrac in the vineyard and forestry version. With its minimum possible exterior width of 160 cm, the Lindner Lintrac is designed for plantations and vineyards. Especially in the 1.35 m or 1.5 m track, the Lintrac achieves over-average manoeuvrability as a result of its steering rear axle. The turning circle is reduced to 7.6 metres. This usually allows the vehicle to be driven into one plantation row after the next without having to driving in reverse. The working hydraulics with a 100-litre displacement pump guarantees efficiency. The vineyard Lintrac is driven by a Perkins (4-cylinder) turbo engine providing 102 hp / 420 Nm. Forestry setting: thanks to the steering rear axle, the Lintrac has over-average agility skills when it comes to moving wood while still being gentle to the soil. Furthermore, a fully-fledged front-end loader with a rotator and forestry gripper can be attached. An underride guard, tank protector, forestry tyres and a robust forestry frame with a branch deflector are included ex works. 4-point PTO shaft is standard. A stationary travelling PTO shaft for the use of winches is available upon request. The 72ep and 102S models are new additions to the Unitrac transporter series. The 72ep, the lightweight starter model for alpine agriculture is driven by a Perkins 4-cylinder engine providing 75 hp at 318 Nm torque. The hydraulics are tailored to the requirements of the farming industry; the versatile equipment carrier with the proven 4-wheel steering is optionally available. The Unitrac 102S is made-to-measure for urban applications, as it fulfills the requirements of the latest emission level standard EURO 6. At the moment the Lindner technicians are intensively working on a new Unitrac model: the 112 LDrive. For this transporter, the continuous technology of the Lintrac is being adapted for the transporter field. Lindner will be presenting this vehicle in June 2016. Already, the new Unitrac concept can be virtually experienced 3D-Animation at the Lindner Innovation Centre in Kundl. The Geotrac series 4 currently consists of eight models. The scope stretches from the Geotrac 64, which scores on steep terrain, through to the high-performance Geotrac 134ep, which with its 144 hp is the most powerful tractor in the history of the agricultural machine specialist from Tirol. The technical highlights of the tractors include the panorama comfort cab, the vibration damping, the front hydraulics or the high-performance hydraulic system with its separate oil circulation system. All tractors are equipped with Perkins engines.